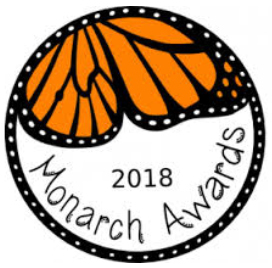 The annual Southwest Region Monarch Award recognizes and honors the members of the Southwest Region and their influence for creating, delivering and maintaining excellence in school facilities planning. The Southwest Region Monarch Award recognizes EDUCATIONAL FACILITY PLANNING EXCELLENCE – from determination of the need for the facility, through occupancy – and all segments in between. The project(s) being recognized will best demonstrate the comprehensive effectiveness of planning, design, and construction as outlined in the criteria listed below. The SOUTHWEST REGION MONARCH AWARD will be presented to the Southwest Region member, school district, higher education institution, consultant, architectural firm, and/or construction management firm whose project best meets the following criteria. Development of a comprehensive educational specification and/or program of requirements. Project must be within the seven states that comprise the Southwest Region. The entire project team must reside within the Southwest Region and maintain a Southwest Regional membership. All entries must register projects. Registration Fee: $250 per project. Please send your completed submission to Carla Cummins. If the file is larger than 20 MB, please use Dropbox or other FTP site. This scholarship provides financial assistance for one or more individuals residing in the Southwest Region states to attend LearningSCAPES, November 1-4, Chicago, IL. This important event brings together school planners, educators, and design and construction professionals from around the globe to collaborate on ideas and issues relating to the planning and design of contemporary schools. Preference will be given to those who have not attended a Annual Conference in the recent past due to financial burden. The maximum amount of this scholarship is $1,500 and may be applied to registration, travel and/or hotel costs. Incidental expenses such as meals not covered by the conference fee, taxes, fees, tips, and ground transportation are not included in this scholarship. The annual Southwest Region Bob Vesper Planner of the Year Award is the highest and most distinguished honor conferred by the Southwest Region. The winner is selected by a the Southwest Region Planner of the Year Committee. In addition to receiving this prestigious award from the Southwest Region, the recipient of the Vesper Award will be submitted by the Southwest Region as their candidate for the International Planner of the Year. The candidate must be an Association member in good standing. The candidate must have been actively engaged in one or more of the professional areas identified in the Association Bylaws as being essential to qualify for Southwest Region membership. The candidate must not have previously received the Southwest Planner of the Year Award. The selection of candidates for final consideration will consist of no more than three qualified candidates who have submitted complete packages.